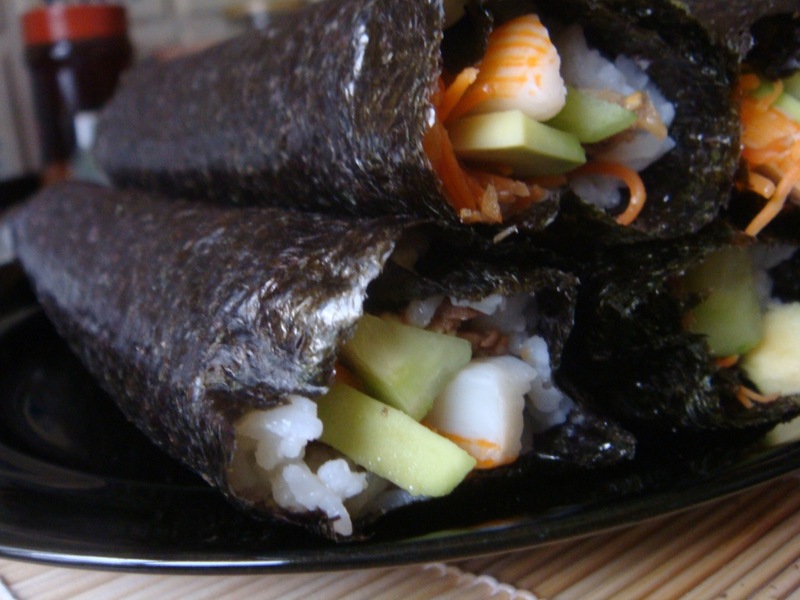 Kimbap 김밥 is a Korean dish made from rice, meat and vegetables, rolled in seaweed and cut into bite-sized slices. 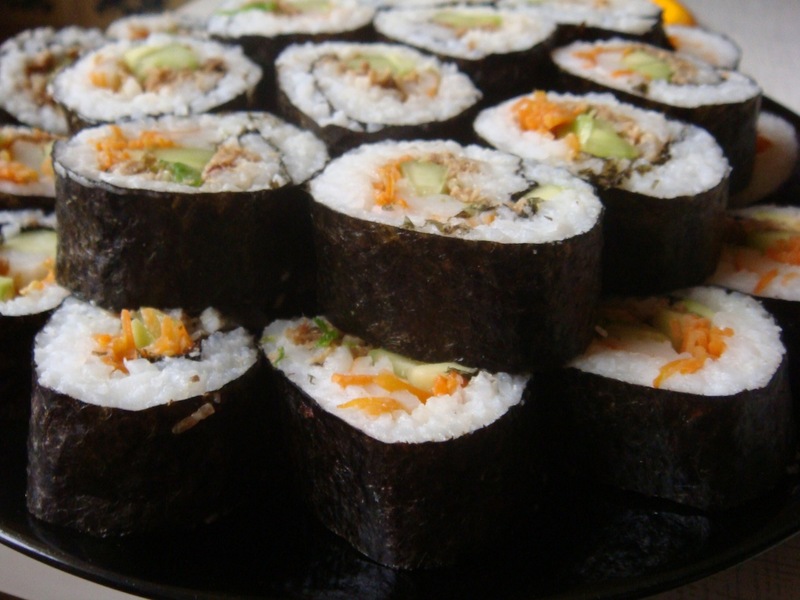 Although it resembles the better known Japanese sushi, which in the West is found fancy, it’s actually picnic and snack food, something that you eat as a light lunch with your hands. 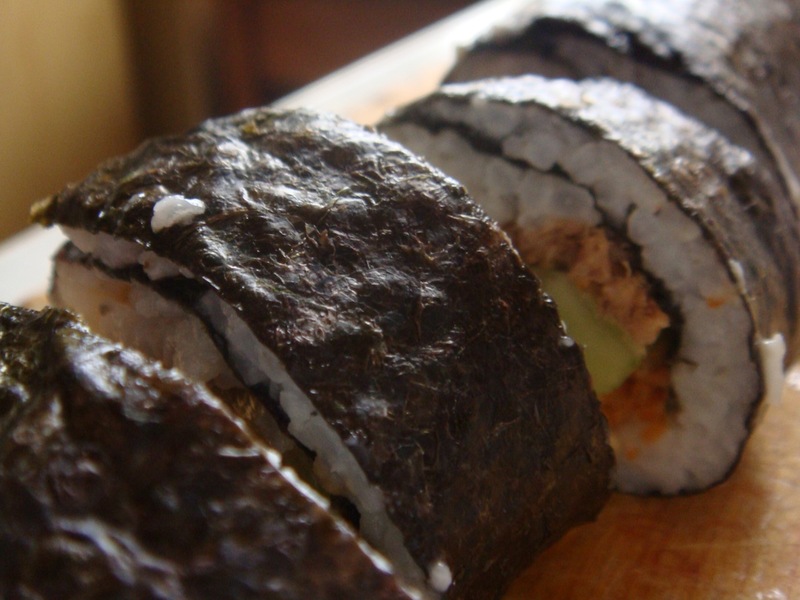 Traditional fillings include seasoned vegetables, egg, meat and crab-meat, but you can pretty much put whatever you want into them. 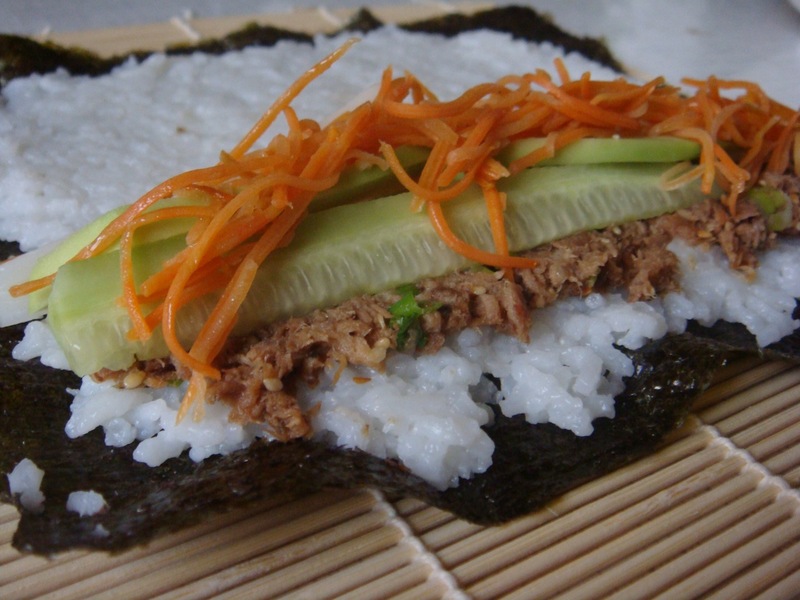 Cut crab-meat, carrot, cucumber and avocado intro strips. Lightly sauté carrot with some sesame oil. 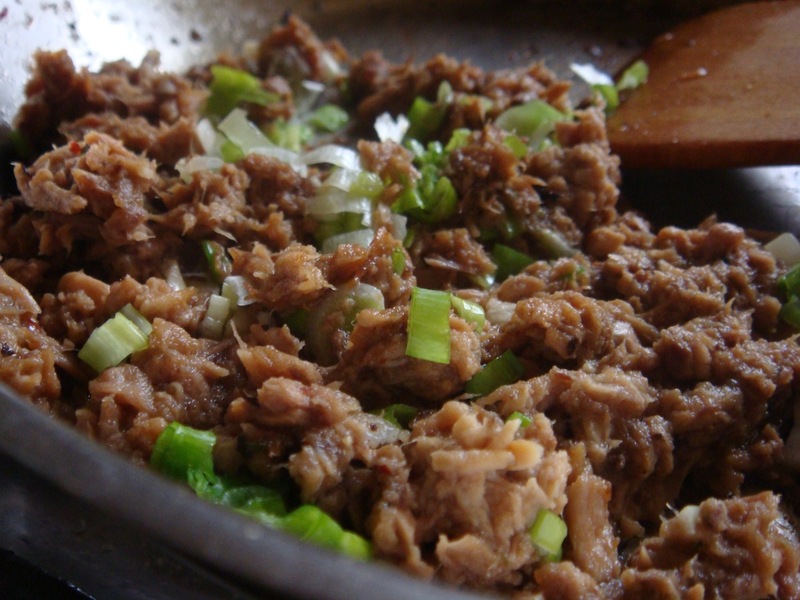 Remove the oil from canned tuna and put the meat on a heated pan. Add some sesame oil and cook for about 2 minutes. Add 1 tablespoon of soy sauce, 1/2 tablespoon of sugar, 1 clove of chopped garlic and 1 teaspoon of ground pepper. Cook for 3 more minutes, stirring constantly. Turn off the heat. Add chopped onion, 1 tablespoon of sesame oil and some roasted sesame seeds. 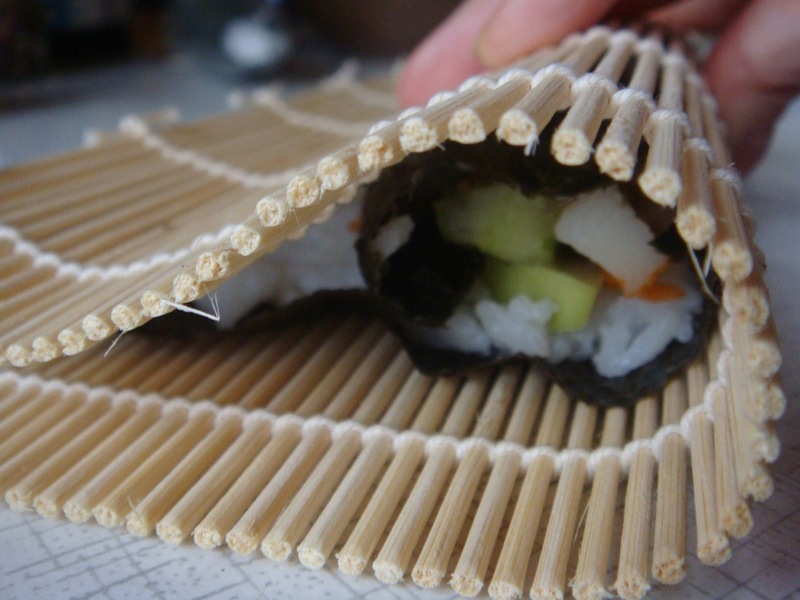 Put a sheet of seaweed on a bamboo mat and spread on it a thin layer on rice. 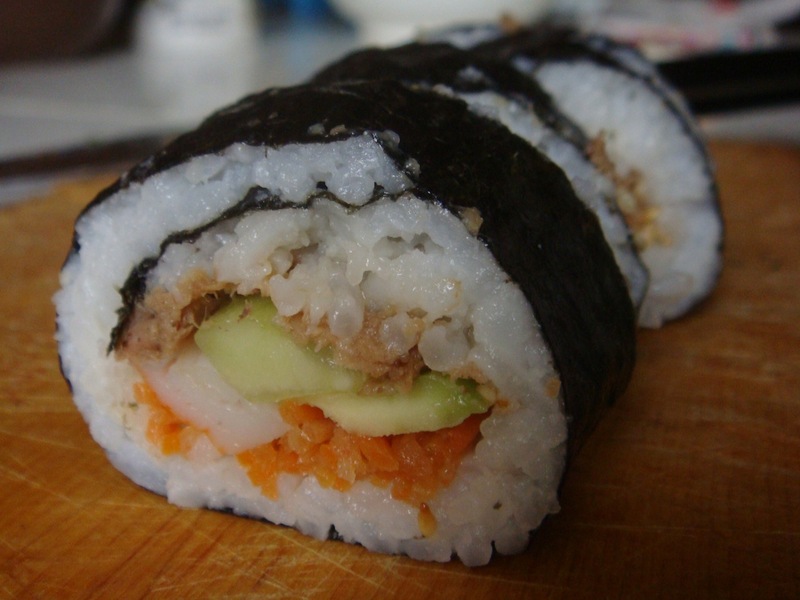 Leave a little room at the bottom without rice, around 1cm, because this makes wrapping it a lot easier. 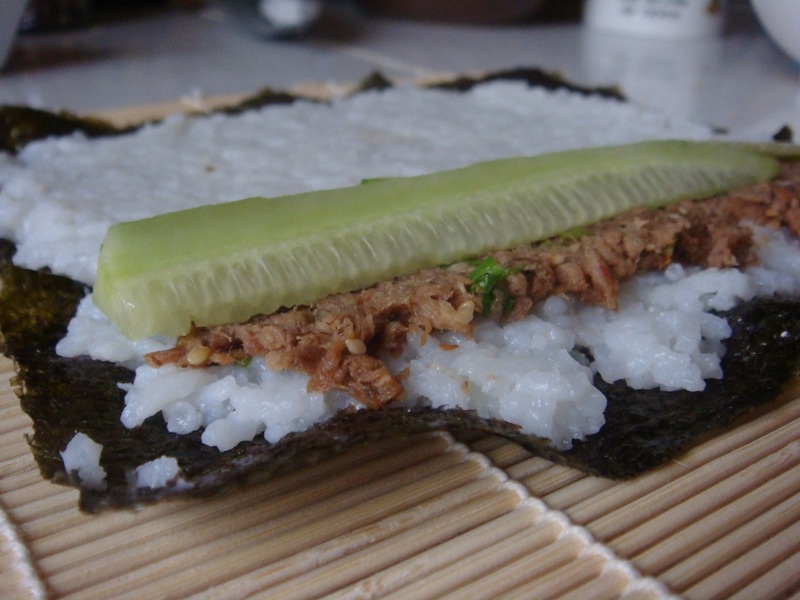 Place 2 teaspoons of tuna on top of the rice. 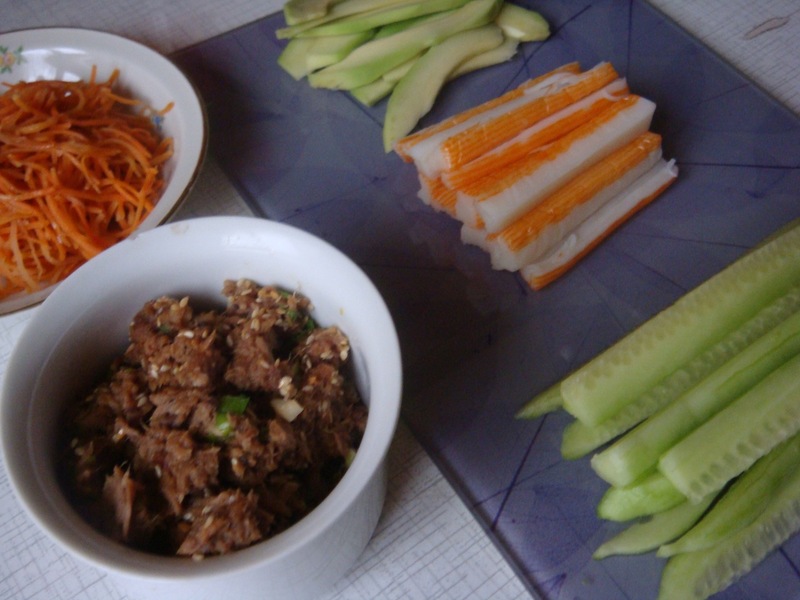 Add whatever ingredients you have towards the bottom.